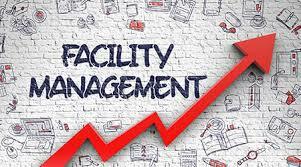 One of the most awaited standards for 2018 was the Facility management system FMS . Although FMS was neglected in business and standards were not being followed, off late there are lot of organisations who insist that their Facilities are managed by professional companies. FMS can be applied to an office managing multiple facilities such as offices, commercial establishments, apartments, airports, railway stations, bus-stands etc. ISO 41001:2018 is the latest version of the Facility management system which have 7 requirements which can be applied in Corporates, IT Park, Airport, Railway stations, Shopping malls, Restaurants, Hotels, Apartments, Housing estates. Preparation, training of Operational control procedures for all the FMS identified. Looking for ISO 41001 Consultant, ISO 41001 Certificate, ISO 41001 Consultancy and ISO 41001 Training schedule in 2019-2020 to know the differences between 2016 and 2018 version, drop an email.